I feel bad that I am late to writing about this but a very good English actor passed away on February 7th. 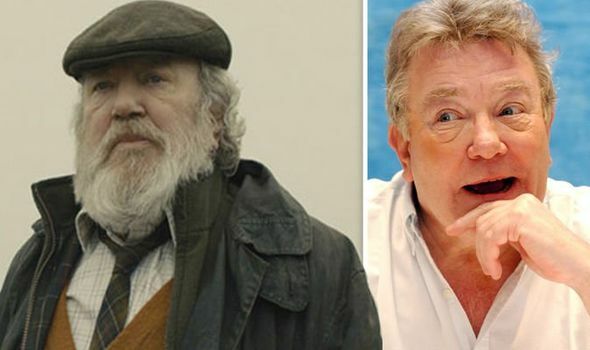 Albert Finney was one of those actors you saw everywhere, but you may not have known who he was. You may have remembered him from the "Jason Bourne" movies. Perhaps you remember him as the groundskeeper in the James Bond film "Skyfall." Maybe you remember him having a discussion with Michael Douglas in "Traffic." Maybe you remember him as Ebenezer Scrooge in one of the hundreds of movie versions of A Christmas Carol in the 1970's. The point I am trying to make is the guy worked quite a bit. I wish he was more well known than he was, because he certainly left a mark on you if you watched lots of his work. The thing I bet you'll definitely know him from was the 1982 version of "Annie." Albert Finney was Oliver "Daddy" Warbucks. The Daddy Warbucks. Since this is the only version that matters and arguably the most popular version of this story on film, Finney pretty much is the embodiment of Daddy Warbucks for me. He was totally equisite in that. Probably my favorite Finney appearance was in the Coen Brothers movie "Miller's Crossing" where Finney played the Irish Mobster Leo O'Bannon. He was one incredibly scary gangster there. If you are curious about his greater filmography, Amazon Prime has a bunch of great movies with Finney in them right now. You can check out "Gumshoe" where he plays a private eye caught up in a strange case. You can see the original "Murder on the Orient Express" where Finney played Hercule Poirot. You can check out "A Man of No Importance" where he plays a man struggling with his sexuality. All highlight some the great talent Finney brought to a role and he made for a particularly unique experience. He's definitely an actor I will miss on screen.